My kids’ wanted to give their kids a movie and popcorn for Christmas this year and they needed a gift TODAY. Nothing like waiting until the last minute to put a gift idea together. 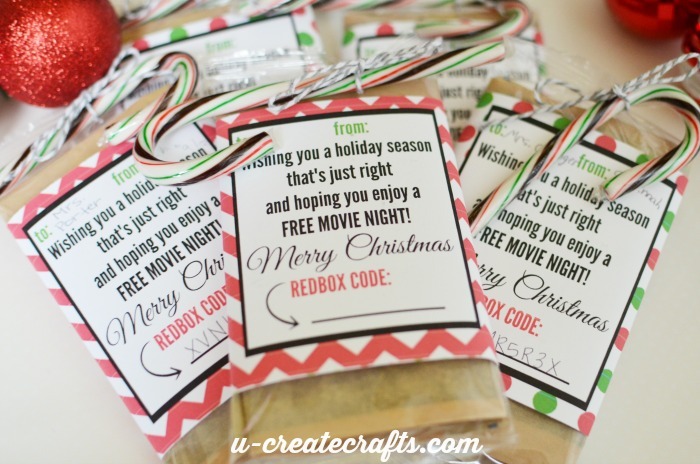 I love this idea because it is so simple and a gift that the teachers (neighbors or co-workers) would actually use. 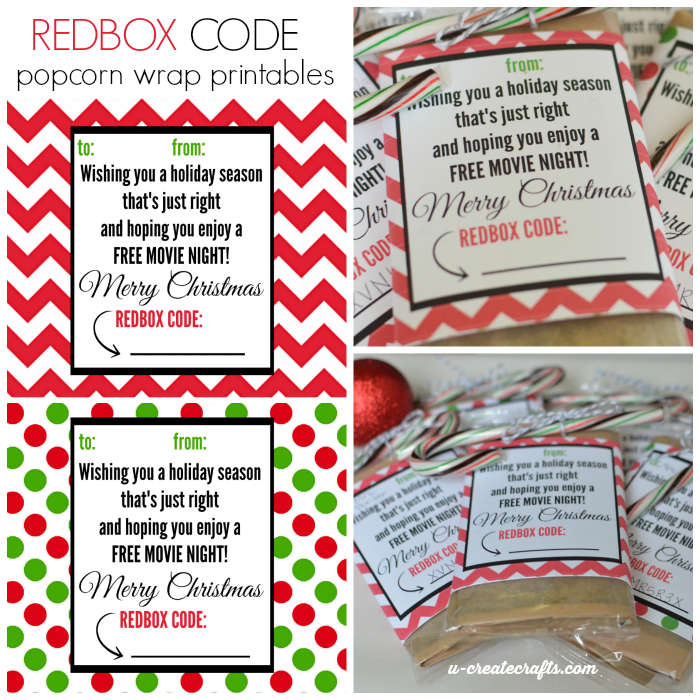 Simply print out the printables…you’ll find a “Merry Christmas” and a “Happy Holidays” version to choose from, tape to some popcorn and you have a simple gift. Want to spend more on the gift? Just add more Redbox codes, soda, treats, etc.! 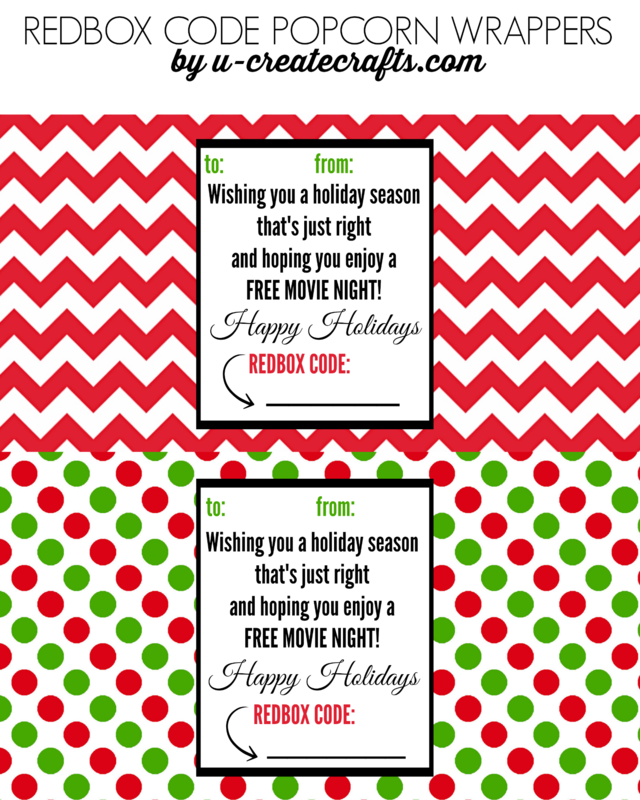 Call me dumb but where do you get the codes for the Redbox idea? You’re not dumb. I can’t believe I left that part out in the post! Go to netflix.com/gifts and buy the codes in bulk. You can buy them in amounts 5 or more. Just email them to yourself and they’ll send you the separate codes. Thanks for asking! Hi! I had the same question as above. I tried the link but it takes me to a page to redeem a code. I still don’t see where you can purchase codes (only gift cards). Thanks! 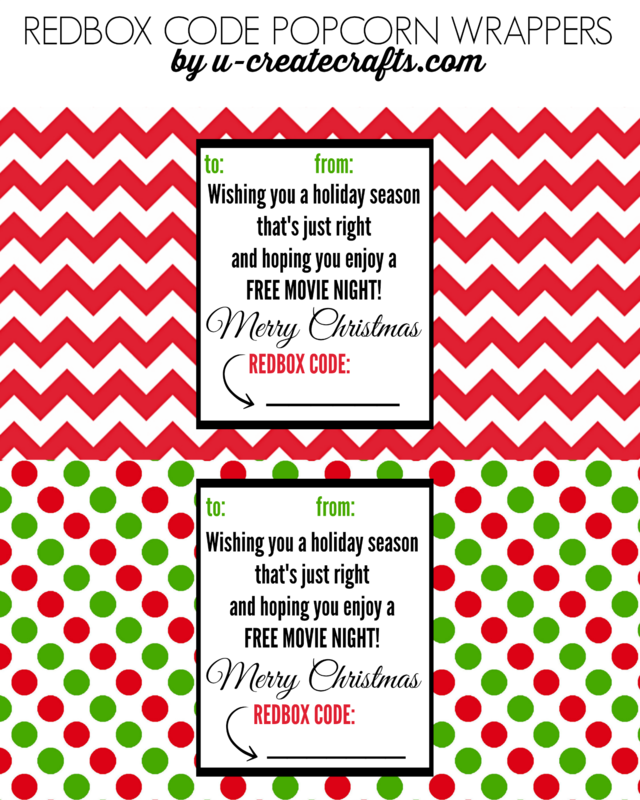 I think the problem is that you typed in Netflix.com/gifts vs. Redbox.com/gifts? At first I got confused but it’s all good. I have downloaded the wrapper and will be sure to use this idea! Thanks!